Browned Butter Glaze is one of my easiest and most flavorful glazes. Nutty browned butter pairs so well with the powdered sugar yielding a fast, soft, flavorful and rich glaze. The creaminess of the butter enhances the glaze as compared to just using water or milk; while browning the butter adds incredible depth and lends a “nutty” rich flavor to anything! Definitely a recipe to whip out when trying to dress up just about any baked good. 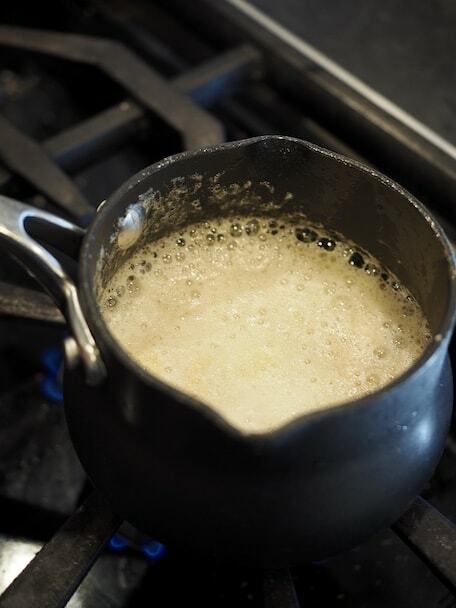 Start by browning your butter, not a difficult process, just hang around it so you don’t burn it! 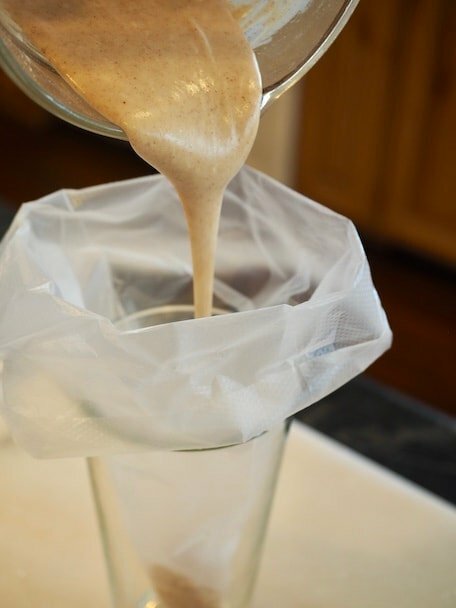 Drizzle on your baked goods with a spoon, or pour your glaze into a piping bag (baggies work great too) for piping. Simply snip the end (or corner from a baggie). Be sure to snip a tiny bit initially and see how the stream comes out, if too tight, snip a bit more off until you get the desired amount. That’s it! Told you it was as easy as pie, er glaze! Try it on my Banana Bread, Pumpkin Bread (using maple), Banana Graham Streusel Muffins, Maple Pumpkin Scones (maple or vanilla is delicious) or Cinnamon Crunch Scones or drizzle as I did on these amazing, crisp edged-chewy centered Pan Banging Sugar Cookies!! Browned butter glaze is so simple and easy to make adding amazing, complex flavor to any baked good! 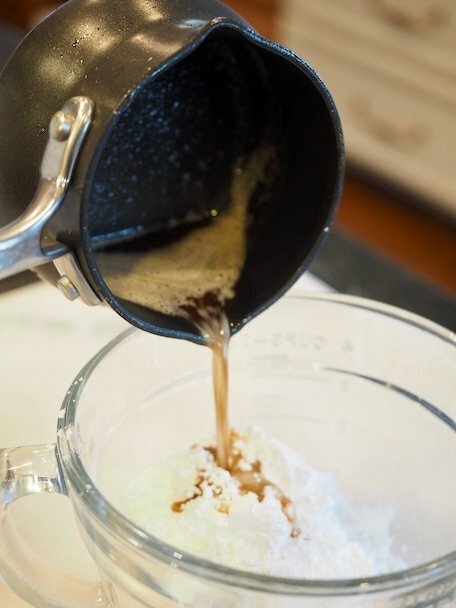 Place your butter in a small saucepan, over medium-low heat melt butter; it will snap, sizzle and pop, swirl it around every once in a while, when it starts foaming up let it sit on low until foaming subsides, by then your butter should have a nutty aroma and a caramel color.